I hope everyone had a great holiday weekend! If you've read my blogs in the past you'd know that I preach buying in bulk. It saves time and money and I think some of you listened last week. We sold a ton of the pellon waxing roll cases!... why? I have no idea... I'm just a shipping guy! 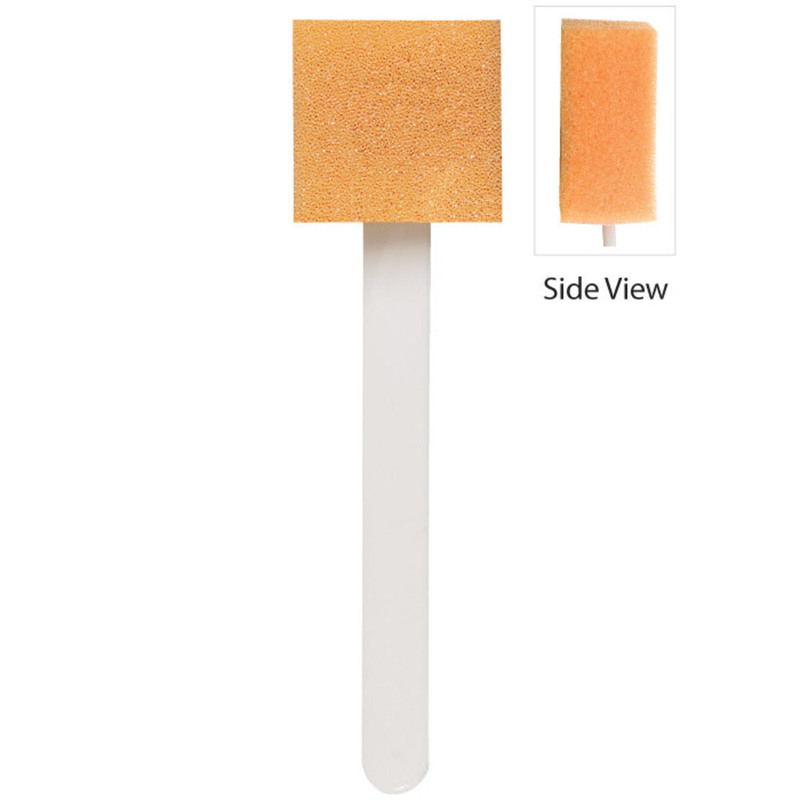 See our great Case of Pellon Waxing Roll HERE! Stock Your Locker Room in Bulk! Are you needing bulk supplies to keep your locker room and restroom areas fully stocked? 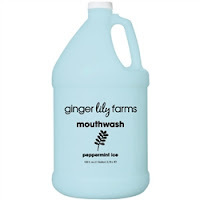 Ginger Lily Farms offers a great line of bulk shampoos, conditioners, hand soaps, and even mouthwashes that will make sure your clients never encounter a dry soap pump or shampoo bottle when washing up before or after a treatment! Escape in the rich aroma of tropical mango swirled with juicy papaya over a creamy background of coconut milk and smooth vanilla bean. Ginger Lily Farms Botanicals Moisturizing Shampoo features a blend of vitamin B5, aloe and flaxseed that smoothes, restores and revitalizes hair with lasting moisture for incredibly soft, shiny hair. For all hair types. 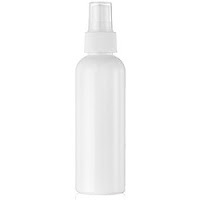 Contains essential oils of coconut. 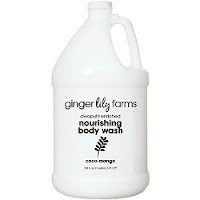 Ginger Lily Farms Botanicals Nourishing Body Wash offers a rich blend of ingredients to soften, smooth and nourish skin. It leaves skin deeply hydrated and refreshingly clean with the antioxidant and healing properties of flaxseed and the moisturizing benefits of aloe, loaded with vitamin B5. Contains essential oils of coconut. Gallon. Ginger Lily Farms Peppermint Ice Mouthwash refreshes with a cooling sensation. Fights bad breath odors, for use morning and night. Compare to Listerine Cool Mint. Gallon. Clients loving these products? Great! 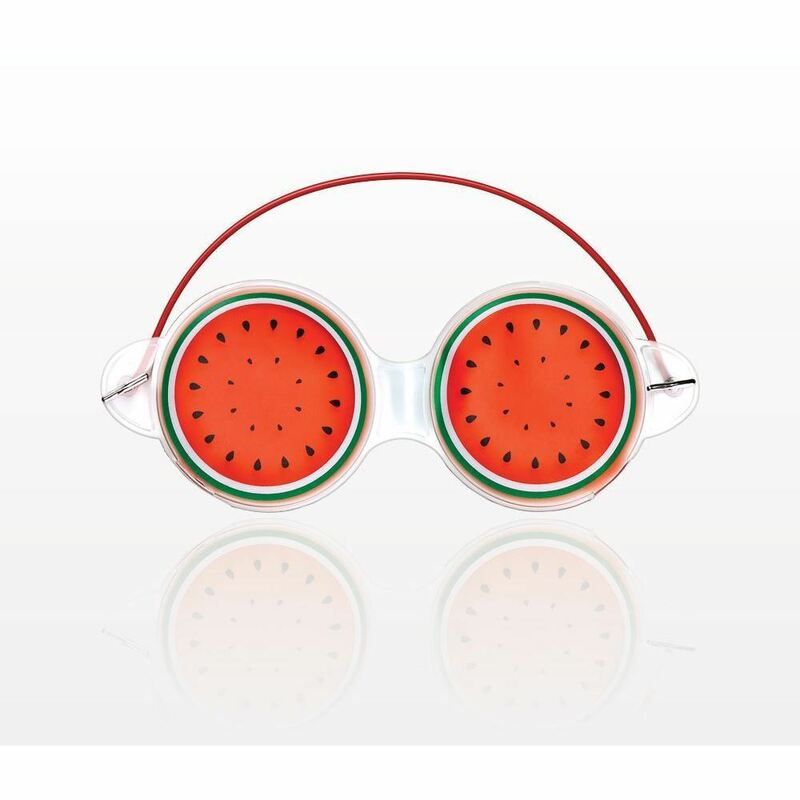 You can retail them! 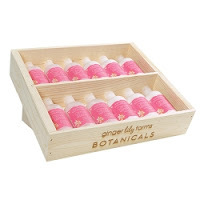 Ginger Lily Farms Botanicals Wood Crate with Stand. Mix and match Ginger Lily Farms Botanicals Shampoo, Conditioner, Body Wash & Lotion for the perfect retail presentation. If you've read any of my blogs, you may have an idea of how much I love things in bulk. 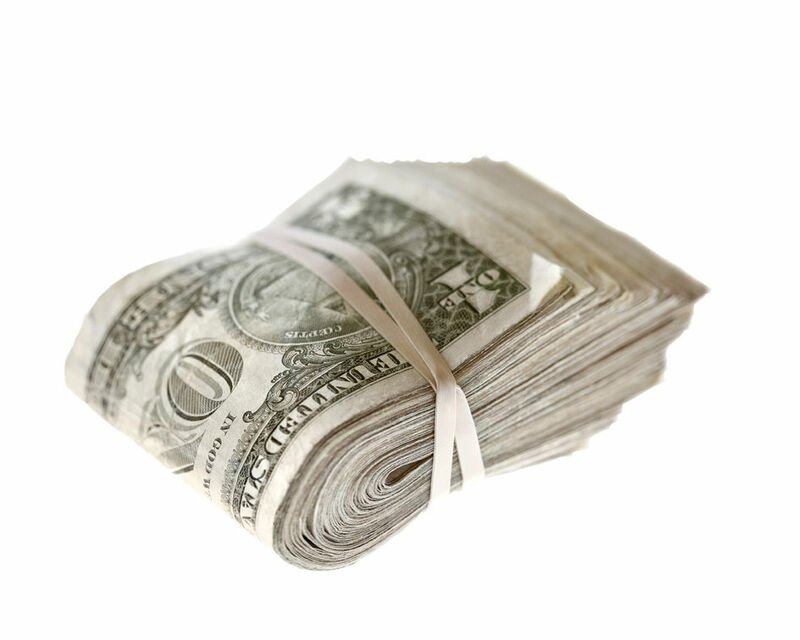 Aside from alleviating the stress of running out quickly, it is generally less expensive to buy in bulk. The new eye shadow bulk packs made my week. With different sizes and styles, there is a pack or two for every need! Especially with the holiday season quickly approaching, you don't want to be running out of or scrambling around for applicators for your parties! 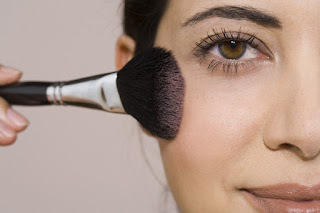 At a cost of pennies per applicator, you can't go wrong! Just think of all the things you could do with the extra savings! See which one would work best for you! 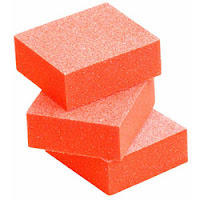 Bulk Pedicure Supplies for Savings All Year 'Round! If there is one thing I have learned from speaking with my clients, it is that every business out there is looking for the best deal possible for all of their supplies, without compromising on quality. Here at Pure Spa Direct, we are always on the lookout for bulk packages of supplies and products to offer our clients to help them grow their businesses, without breaking the bank. Most recently, we added even more bulk Spa Redi Masks - and they are available in 5 gallon tubs! Purchasing items you use regularly in bulk definitely helps in cutting down on your treatment costs, which then increases your profit margin. Plus, bulk packaging means less package waste, so you are helping the environment, too. Sounds good to me all around! Try just 1, or create exciting new "Signature Pedicures" focused on each scent! 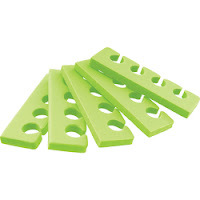 Don't forget to stock up on the rest of your bulk purchases, such as disposable slippers, toe separators, wax sticks, and more! Just Starting Out? Save Time and Money with Pure Spa Direct! When just starting out, it can be overwhelming finding products that your clients will love but won't break the bank. No matter what specialty you are going into, Pure Spa Direct has something for you! Starter kits and bulk items are a cost effective way to start your business off right as well as keep costs down for established businesses! CHECK OUT THESE GREAT ITEMS!!!! These are just the tip of the iceberg to all of the great money saving kits and bulk packages designed to save money and keep you well stocked for all of your client's needs! Check out everything we have to help get you started...keep you growing!